If you’re spending time in the Andalusian capital and fancy getting out of the city for the weekend, there is no shortage of destinations less than a two hour drive away. From beautiful beaches to spectacular national parks, these are the best weekend getaways from Seville. The beaches of Cádiz are some of the finest in Andalusia and are less than a two hour drive from Seville, making them perfect destinations for a weekend of sun and sea. One of the most beautiful is Playa Zahara de los Atunes, a five-mile stretch of pristine sand and brilliant waters named after the tuna fishing village of the same name. There’s plenty to do here of a weekend, with superb chiringuitos and restaurants to hang out in, watersports to try out and even an old shipwreck to explore about 50 metres offshore. 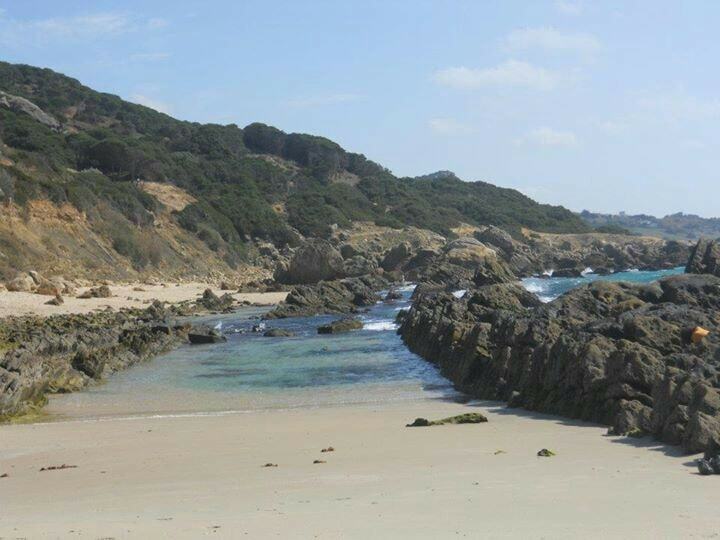 Parking and camping is available close to the beach and buses run to the village of Zahara itself (home to several decent hotels) as well as nearby Barbate. Ask any Sevillano about Écija – a pretty pueblo blanco located about an hour’s drive east of Seville – and they’ll tell you how hot it is there and to not go in summer. Indeed, a staggering temperature of 52 degrees Celsius was once recorded here, meaning the town fully deserves its nickname of La Sartén de Andalusia – “The Frying Pan of Andalusia”. But if you’re in Seville during spring, autumn or winter, Écija is a great weekend getaway. It is famous for its ornate church towers – the tops of which are attractively adorned with tiles and which can be seen for miles around – some outstanding 18th century mansions and its charming old town. Another gem just an hour away from Seville is the unspoilt pueblo blanco of Aracena. Located in the neighbouring province of Huelva, Aracena is at the heart of the Sierra de Aracena and Picos de Aroche natural park, which offers some wonderful walking, cycling and picnic spots. Attractions in the town itself include a hilltop medieval fort, a jamon museum and the breathtaking Gruta de las Maravillas, or “Cave of Wonders”. This subterranean network of caves and corridors extends under the castle and is the result of thousands of years of erosion: take the circular 45-minute tour to properly appreciate its eerie beauty. 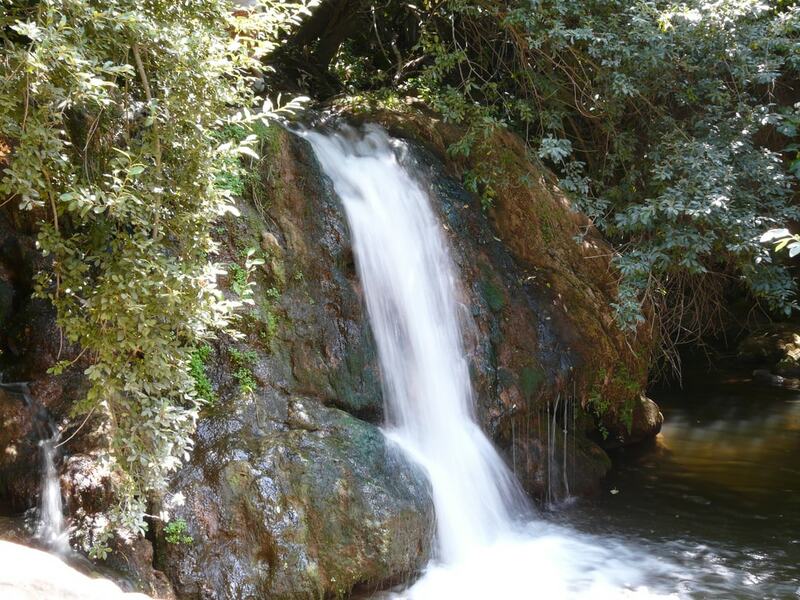 If you want to get away from the city completely for a couple of days, the beautiful natural park of Sierra Norte de Sevilla is only about a forty-minute drive north of the Andalusian capital. There are plenty of walking and cycling paths – called Vias Verdes, or “Green Ways” – to be enjoyed in the Sierra, one of the most popular of which begins in the lovely little village of Cazalla-Constantina and runs alongside a disused railway line for twelve miles. Gently undulating hills, picturesque waterfalls and wildlife including otters, boar, eagles and deer will truly take your mind off the city as you walk. Check the park’s website to find the best overnight accommodation. The beaches around the popular resort town of Matalascañas in Huelva are the closest to the Andalucian capital and are reachable in under an hour by car. Although the town itself is not much to look at, the surrounding playas are well worth a weekend trip. Immediately to the west of Matalascañas is a small beach of the same name (sometimes also called Playa Torre de la Higuera), which backs onto some excellent seafood restaurants. Beyond Playa Matalascañas, on a 20-mile stretch of sand that runs up to Mazagaon, you’ll find some amazing fossilised sand dunes, whilst to the east of town is the stunning coastline of the Doñana national park (see below). If you ‘re visiting Seville and want to take in not just one but two of Andalusia’s greatest cities, a weekend trip to Jerez de la Frontera is a must. This is the city of horses and of sherry and in order to fully appreciate both, go and see a breathtaking equestrian ballet at the city’s famous Royal Andalusian School of Equestrian Art and follow it up with a tour around the bodegas of Tio Pepe, a local sherry producer whose product is known the world over. If you’re visiting in early May, you can also attend the city’s annual Horse Fair – a joyful celebration of the animal so integral to Jerez’s culture and history. Just an hour’s drive west of the Andalusian capital is the Parque Nacional de Doñana, one of Spain’s most spectacular national parks. Its vast expanses comprise wildly different terrains, from sand dunes and pine forests to wetlands and lagoons, so a variety of fauna and flora is found here. An extensive network of cycle and hiking paths provide plenty of opportunity to spot the Iberian lynx and Spanish imperial egale, Doñana’s two most prized inhabitants. The park’s administration also runs guided tours in 4x4s. Stay in the Wild-West-style town of El Rocio (which hosts the hugely popular Romeria feria every May) or in Matalascañas, on the park’s untamed Atlantic coast (see above).